Sherwin Williams recently donated 20 gallons of paint to the Newton County Boys & Girls Club, which holds a monetary value of $1,308. Nakita Williams, NCBGC Director, receives the donation from Sherwin Williams alongside, from left to right, Michael Geoffrey, NCBGC Advisory Board Chair; Gregory Anderson, Sherwin Williams Professional Coatings Representative and Dennis Rains, Sherwin Williams Store Manager. For more information about Newton County Boys & Girls Club contact, Nakita Williams at nwilliams@bgcncg.com. To learn more about Newton County Boys & Girls Club visit, www.bgcncg.com/newtoncounty. Starting in April Newton County Boys & Girls Club will be asking for the public to join them in preparing the Club to open with Give Back Saturday opportunities. On April 13 the Club will have a landscaping day from 9 am to 12 pm, which will involve planting small flower gardens, installing a picnic area, pine straw placement and painting picnic tables. On April 27 the Club will have an Accent Edition from 9 am to 12 pm, which will involve painting walls in the main Club area. On May 11 the Club will have a Design Day from 9 am to 12 pm, which will involve organizing furniture, hanging TVs, connecting computers and hanging posters. On June 1 the Club will have a Clean Up Day from 9 am to 12 pm, which will involve cleaning and disinfecting the Club, clearing the area around the Club and ensuring the final touches of the Club are prepared for the grand opening. 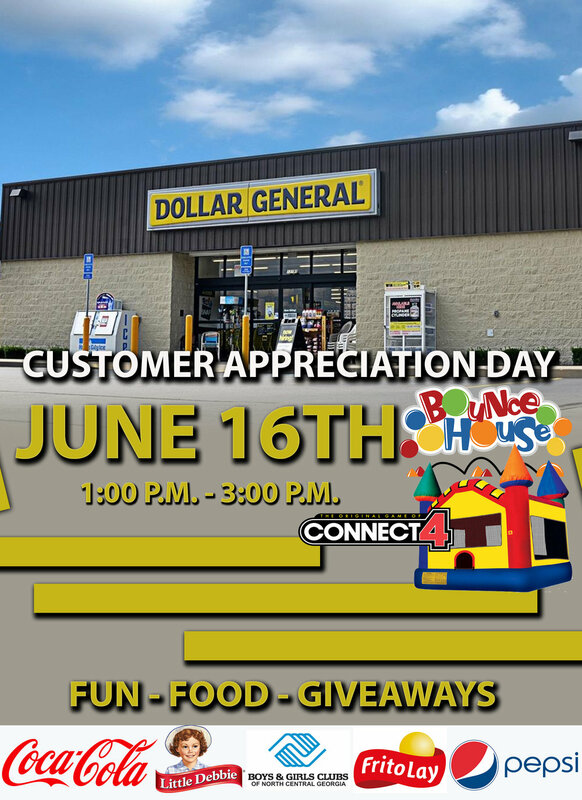 For more information or wanting to sign up for volunteering contact, Nakita Williams at nwilliams@bgcncg.com. To learn more about Newton County Boys & Girls Club visit, www.bgcncg.com/newtoncounty. The Boys & Girls Clubs of North Central Georgia is proud to announce Nakita Williams as the Newton County Boys & Girls Club Director. Nakita is an award-winning Youth Advocate, mentor and community leader. She has a strong passion for youth development and strives to motivate and inspire the youth she encounters. In 2013, Nakita began fulfilling a promise to give back to her community. She started volunteering with the teens at Daniels Mardak Boys & Girls Club, located in Milwaukee and shortly after joined the team as a Health and Life Skills Specialist. In that role, Nakita implemented many new programs and created several community partnerships. She led her club in winning first place overall in an Organization-Wide PSA Competition on Teen Pregnancy prevention. Nakita implemented a health fair dedicated to youth that has allocated re-occurring funds for her site form organizations such as Wheaton Franciscan Hospital and Children's Hospital Wisconsin-Milwaukee Campus to support the continuation of youth-focused health fairs. Nakita was able to engage stakeholders and funders in her efforts to support teen programming. Her success in this role led her to be promoted to Assistant Club Manager and Character Leadership Supervisor. 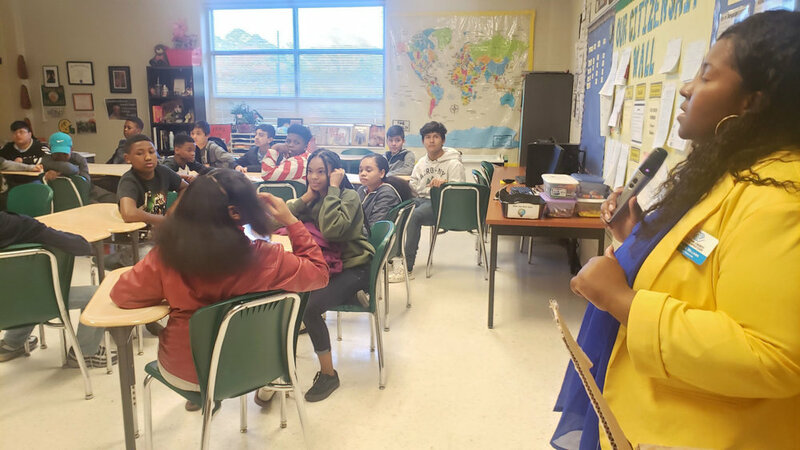 Nakita served as a leader, allocated resources and grants for the organization, all while building relationships and serving as a mentor to hundreds of youth within the community. She was able to increase the memberships of teens, as well as the Average Daily Attendees. In 2015, Nakita was the recipient of the Ruby Groote Mat award, an award that is rewarded to one employee a year throughout the organization.Nakita is instrumental in supporting the professional development of others and serving as a mentor for other colleagues. Nakita has over 15 years of experience working in the Human and Social services field. She exhibits a broad knowledge in youth engagement and support as well as a proven commitment to ensuring the highest quality of services. The foundation of her success lies in her talent and passion for the youth and bringing real-world learning experiences to them. Nakita has had much success in implementing best practices for youth growth and development throughout her career at organizations. She has her undergraduate degree in Business Management from Bryant & Stratton College, Graduate Certificate in Counseling specializing in Contemporary Theory in Mental Health Services as well as a Graduate Certificate in counseling specializing in Contemporary Theory in Couple and Family systems from Capella University. She is currently pursuing a master’s degree. Her goal is to not only have a better understanding of youth development, but to provide awareness on how family systems contribute to the growth and development in adolescents. While also developing different techniques to train staff on how to deal with at-promise youth that have experienced trauma. Nakita has overcome many obstacles which makes her “relatable” to youth. These obstacles fuel her passion for youth development. She also lives by the quote “I want to inspire people, I want someone to look at me and say, Because of you I didn't give up." This mindset has helped her become a pillar in the community. To learn more about Newton County Boys & Girls Club visit, www.bgcncg.com/newtoncounty. You can reach Nakita Williams at nwilliams@bgcncg.com. ‘Here’ was hearing her name being called as a semi-finalist in the state-wide competition, where she competed against more than 30 youth from Georgia Clubs. 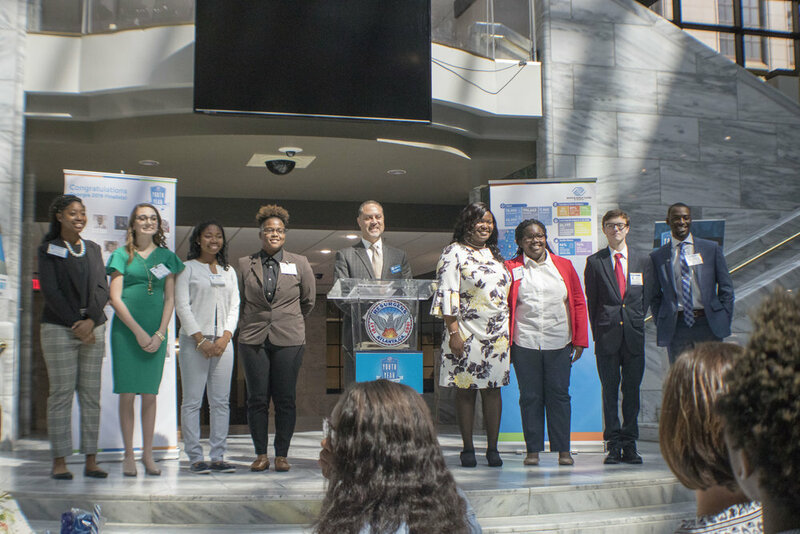 The statewide competition was a three-day competition, which consisted of interviews, essays and speeches focusing on how Boys & Girls Clubs impacted the youth. Among those gathered to support Ricquaria was Greene County High School Principal, James Peek, who shared his excitement in her successes. For Mike Conrads, a Boys & Girls Clubs of North Central Georgia advisory board member and donor toward the Youth of the Year program, watching Ricquaria grow was an immense honor to participate in. 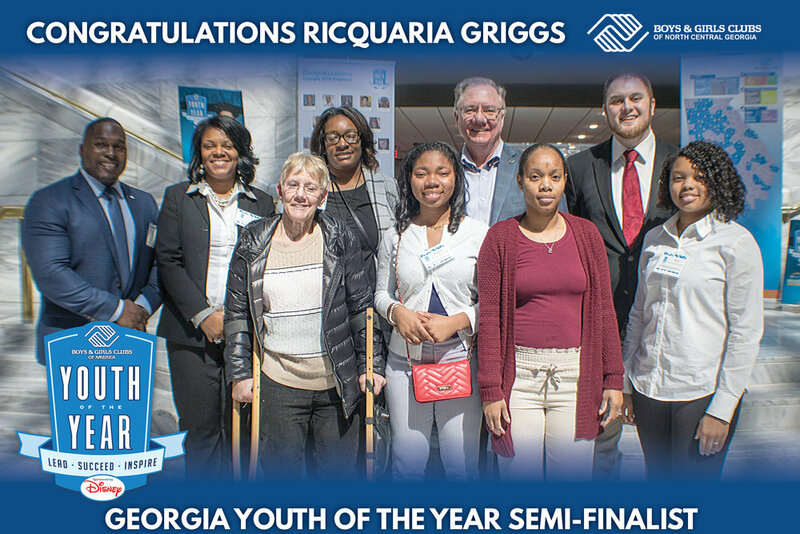 During the course of the last year, Ricquaria was been named Pete Nance Boys & Girls Club Youth of the Year, as well as the organization wide Boys & Girls Clubs of North Central Georgia Youth of the Year. Her accomplishments are marked by her unrelenting dedication to grow as a leader, as well as an individual. Boys & Girls Clubs of America’s National Youth of the Year recognition program empowers young people to reach their full potential by providing youth with access to the tools they need to build the great futures they imagine. Boys & Girls Clubs of North Central Georgia’s vision is to provide a world-class experience that assures success is within reach of every young person who enters its doors. For more information or to donate, visit www.bgcncg.com. If you’d like to get involved, please contact 770-267-8034. 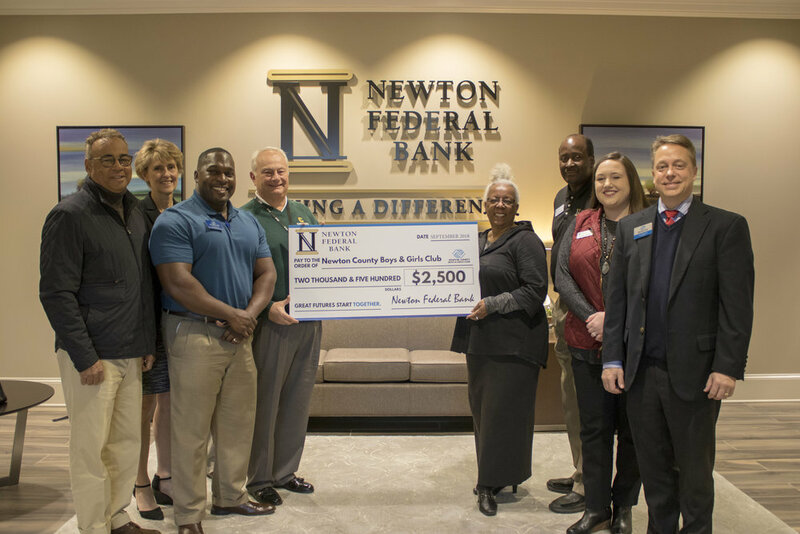 Newton Federal Bank knows first-hand the importance of providing for the community’s youth, as several employees personally put youth first. Nita Thompson, a NCBGC board member, shared her excitement in Newton Federal Bank’s partnership. To learn more about Newton County Boys & Girl Club, visit www.bgcncg.com/newtoncounty or call 770-267-8034. “We are very excited to support Newton County Boys & Girls Club’s doors opening and are thrilled to support moving forward as well,” Calvin Klitz, Vice President of Human Resources for BD shared. BD, a global medical technology company, recently donated $5,000 toward NCBGC doors opening this year. It’s part of an ongoing partnership, Klitz mentioned, through Legacy Bard’s social giving program. To learn more about Newton County Boys & Girls Club, visit Newton County’s club page! 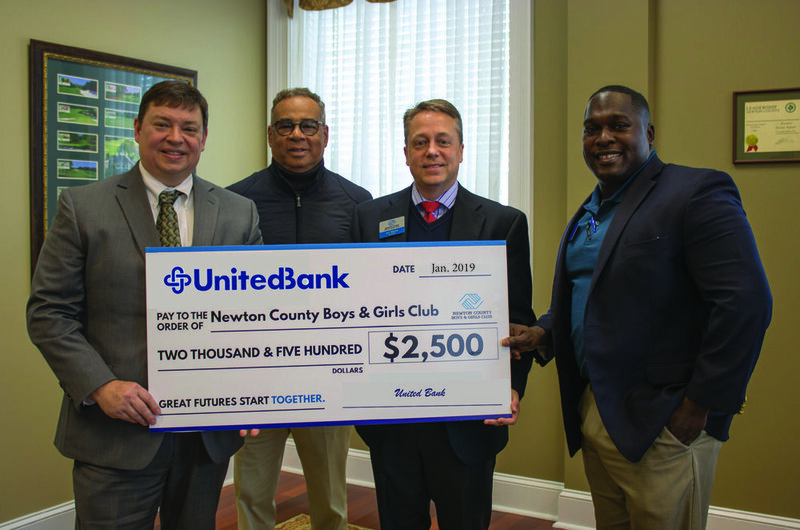 “There’s nothing else like Boys & Girls Club,” Thomas Kephart, United Bank President shared recently to a room of Newton County Boys & Girls Club board members. The occasion was the awarding of $2,500 check toward the opening of the Club’s doors this year. For Thomas believes in the difference Newton County Boys & Girls Club will make in Newton’s youth. 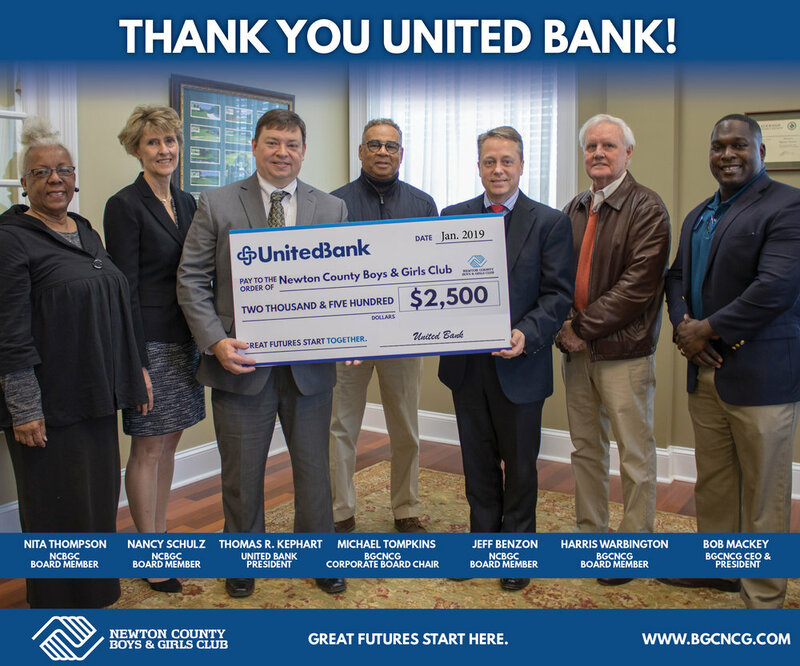 Bob Mackey, CEO & President of Boys & Girls Clubs of North Central Georgia, shared his appreciation toward United Bank’s commitment to Newton County youth. To learn more about Newton County Boys & Girl Club, visit our NEWTON COUNTY Club page. DO YOU WANT TO GIVE TOWARD A PLACE TO BECOME? Springfield Christian Ministries awarded Newton County Boys & Girls Club with a $20,000 check recently to contribute to the opening of the Club’s doors in 2019. BGCNCG recently held its All-Star training for all full-time and part-time staff to equip their minds to foster the future of youth served in the North Central Georgia region. PNBGC member Riquaria Griggs was named the BGCNCG Regional 2019 Youth of the Year winner. Read more about Riquaria and watch the winning moment! Hues of blue shinned across exposed brick while laughter, tears and heartfelt gratitude could be heard from the BGCNCG’s Doors to great Futures Donor, Volunteer and Youth of the Year awards dinner. BGCNCG’s Youth of the Year candidates from each Club spent a day in Athens recently shopping for professional attire clothing to prepare them for their competition in November. Going to the Extreme for Kids! Boys & Girls Clubs of North Central Georgia recently held an organization wide safety training session for staff and volunteers at its Walton County Club location. Staff and volunteers were provided with educational tools to determine the best course of action regarding safety measures for the youth who attend BGCNCG Clubs. A review of BGCNCG safety regulations, which is upheld and guided by Boys & Girls Clubs of America, was provided by Karen Robertson, Senior Executive Club Director for Madison-Morgan Boys & Girls Club. Bob Mackey, President and CEO of BGCNCG, closed out training by giving the staff and volunteers a talk about teamwork and commitment. Boys & Girls Clubs of North Central Georgia serves Morgan, Greene, Putnam, Jasper and Newton Counties. To learn more about Boys & Girls Clubs of North Central Georgia, visit www.bgcncg.comor call 770-267-8034. Louie Herron of Louie Herron Chrysler Dodge Jeep Ram dealership gave back to Boys & Girls Clubs of North Central recently through their monthly Love Bucket program. Some lucky duck will win $10,000 June 30 at Boys & Girls Clubs of North Central Georgia’s Duck Derby event in Porterdale. Shortly after 7 PM June 30 the first rubbery ducky to cross the finish line around the bend of Porterdale’s Yellow River will be named the winner. There’s still time to adopt your rubber duck at www.bgcncg.com/duckderby. The Official Site of the Boys & Girls Clubs of North Central Georgia. All rights reserved. BGCNCG is a 501(c)3 Non-Profit Organization and Donations are Tax Deductible.